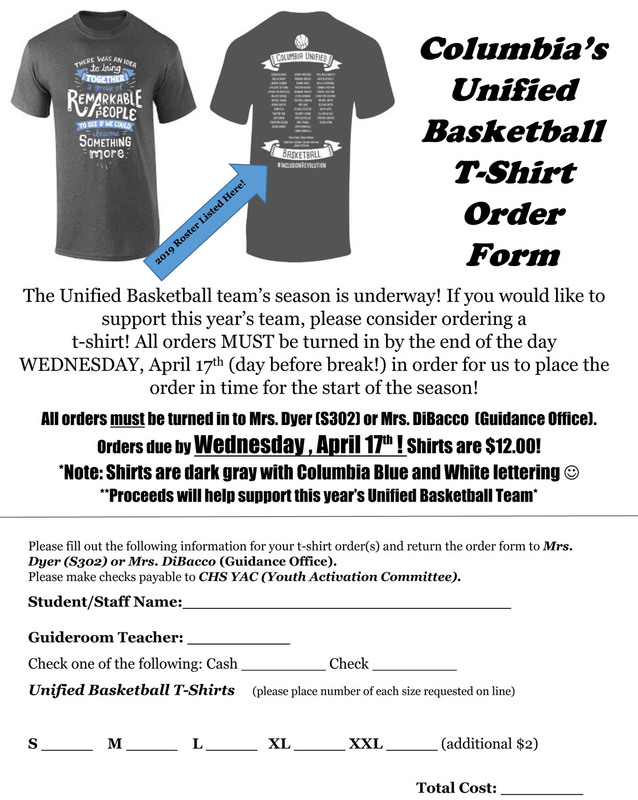 Columbia at Albany, Monday, May 6 at 4:15 p.m.
Columbia at Schenectady, Thursday, May 9 at 4:15 p.m.
Columbia at Averill Park, Monday, May 20 at 4:15 p.m.
Unified basketball teams are comprised of athletes with and without intellectual disabilities. Columbia’s team participated in the 2018 Special Olympics USA National Games in Seattle last summer, winning a bronze medal. Unified Basketball is sanctioned by Special Olympics New York, in partnership with the New York State Public High School Athletic Association.